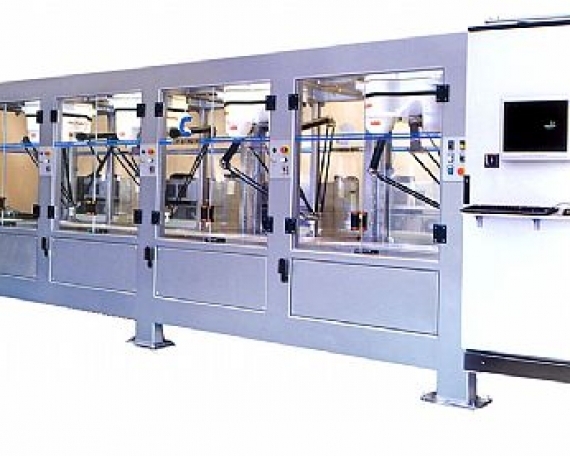 RAP 45 is a robot with interpolated axis. 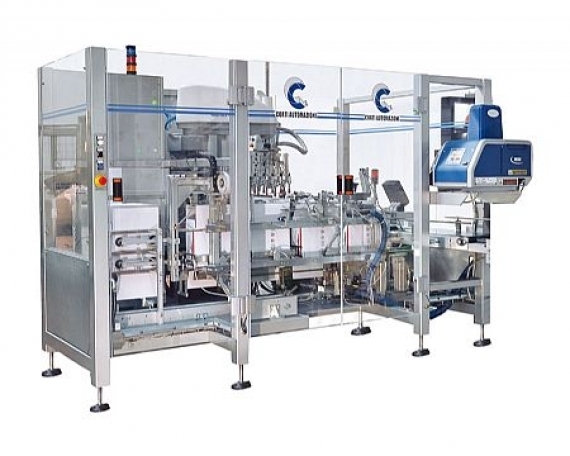 This robot is particularly suited for the handling requipments of the food industry products, such as: jars, potsm, tins, ice-cream cups, bags, flowpacks, frozen products etc. or products of other different kinf. 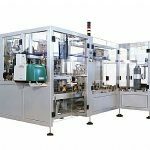 According to the type of product, the handling unit will be purposely designed in order to suit one’s specific requirements. RAP 45 is a robot with two axis, controlled by brushless motors. 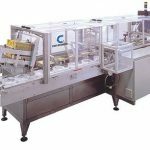 The handling unit can be provided with a third axis to obtain rotation, inclination and compaction of the handled items. The type of the engines used and the strong mechanical structure of the robot grant optimal perfomrance and are conceived in order to require minimal maintenance only. 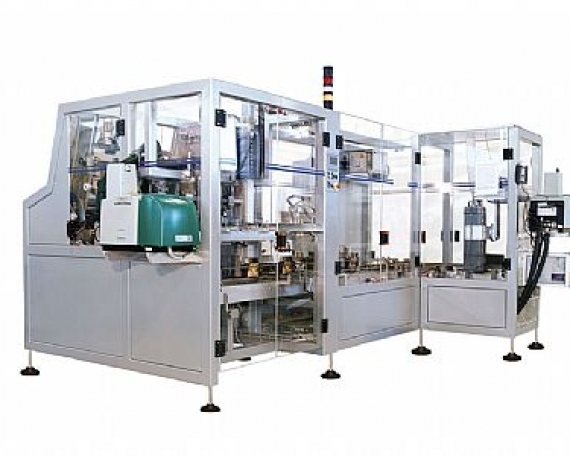 The machine is built in compliance with the safety measures required by the CEE norms.